The Disney Label from Takara Tomy continue to surprise Transformers fans with more Disney stories! 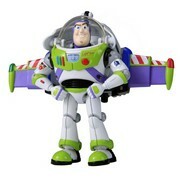 This Takara-Tomy engineered Buzz Lightyear transforms from his iconic spaceman form as seen in the Toy Story movies into a spaceship. Check out the pictures attached below and Toywiz Malaysia will be taking preorders for this item now! This item will be released around end of June 2010. This item in stock now and selling hot at Toywiz Malaysia! Mr. David, around how much this will be? And how big is it? I’m interested to order. I saw this at a local toy store. It’s an awesome piece. No more than 6 inches tall i think. great detailing. And the ship looks just like the box that buzz came in.